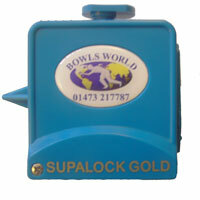 Here at Bowls World we know the importance of having the right bowls accessories to hand when you need them. We stock a wide range of bowls accessories ranging from the absolutely essential and practical, through to items which add a touch of luxury or fun to your bowling experience. The main types of bowls accessories we supply are Measures, Wedges, Grip Waxes, Grip Gloves, Bowl Stickers, Chalk and chalk holders, Bowl Towels and other polishing accessories, Scorecards and holders, Lifting and Walking Aids and Gift items. The uses and features of each are described in more detail below to help you decide which ones you really need. Since the object of a game of bowls is to get closer to the jack than your opponent, it’s essential to be able to accurately measure the distance between jack and bowls to decide who has won. In an official match it will be the umpire who does the measuring but for informal / practise games you’ll want your own measuring accessories handy. For measuring distances between 6 inches and 10 feet or so, measures made of nylon cord or metal wire or tape are used. For very short distances (under 6 inches) caliper measures are used. It’s useful to have both types to hand and they can be bought separately but some measures incorporate calipers. Amongst the nylon/string cord models we supply are the Prohawk (11ft), the Clubhawk (9ft), the Clubhawk Gold (9ft) and the Drakes Pride Supalock Gold (9ft). These all include a positive locking device to prevent cord movement while measuring, as well as a belt clip. The Clubhawk Gold and Supalock Gold both include calipers. If you prefer a metal measure, the Taylor measure (7ft) is made from a coated steel wire while the Henselock (6ft) and Kestrel (7ft) measures are made from steel tape and both include calipers. The Henselock comes with an attractive green velvet carry bag. Alternatively, the Henselite telescopic measure is an umpire-quality measuring device which can extend up to 39 inches and includes calipers. Measuring pegs are useful for measuring longer distances, for example where the Jack has been displaced by a fast running bowl, which has left the jack some distance from the bowls to be measured, or when either the jack or bowls have come to rest in the end ditch and are still live. The pegs are placed in the ground next to the distant bowl and attached to a cord on a spindle (supplied with the peg set). The measurer can then walk back to the jack allowing the spindle to rotate and extend the cord to the required position. Calipers are used when there is not enough room between the bowls and jack to use a cord measure. We supply a good quality set of calipers which can measure up to 6 inches. If the bowl to be measured has come to rest on a tilt and is in danger of falling, it’s good practice to use a measuring wedge to hold the bowl in place – see below for more about measuring wedges. Wedges are used in the measuring process if the bowl to be measured has come to rest on a slant, to prevent it moving during measuring, which could affect the measurement and therefore the outcome of the game. While not absolutely essential to have, they become more and more important the more serious the game being played. So you may not need your own set but it’s useful to have a set available within a group of players or perhaps owned by the club. We sell 3 different sets of wedges, all rubber (to prevent slippage), in a variety of shapes to handle all types of situation. Some are triangular while others are multi-angle to support the bowl more securely. There’s nothing worse than taking your time over an important shot only to lose control at the last second due to poor grip. And for good grip you are dependent solely on the level of friction between your hand and the surface of the bowl. A good glove will help of course (see below), but to keep the level of grip as high as possible you will need a grip wax of some kind. Grip waxes have the added benefit of being water repellent, helping to keep your bowls in good condition. Grip wax comes in a variety of forms and we supply just about every kind, from the traditional tube of wax to the more hi-tech cloths. The traditional grip wax is supplied in a tube or pot which is applied to the bowl and then polished off, leaving a high-grip surface. Henselite Grippo (supplied in tubes) is an all-round polish and grip wax combined, as is Crack-a-Jack Bowls Polish which is supplied in a tub. We also supply Henselite Wilgrip in tubes, which is a concentrated gripping agent and especially useful in wet conditions. A less messy option is to use a spray such as Champion Spray Grip/Polish. It can be quickly and evenly sprayed all over the bowl and, once dry, polished with a soft cloth. However well you prepare your bowls before a game you may also want to enhance your grip during the game, but without the fuss of getting out tubes of polish or spray while you’re on the green. We have two solutions to help the glove-free bowler. First is a grip cloth that adds grip to your hands. Choose between the ComfitPro Pro-Grip cloth and the Taylor ‘Grippit’ Cloth. Keep one in your bag or pocket so you can top up on grip during the game. 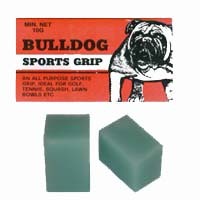 The second solution is a grip block, such as Bulldog Sports Grip. This is a block of wax which can be rubbed on the hands as needed. While some players prefer to have direct contact with the bowl, others find using a grip glove gives them a better delivery, while others like to have one handy for particular conditions such as wet weather. Using a glove has additional benefits too, such as keeping hand muscles warm and flexible in cold weather, and providing general support. Since they are designed for the delivery hand, grip gloves are sold singly, and you will need to specify whether you want it for the right or left hand when you order. The traditional grip glove uses leather (having similar natural grip properties as skin of course), but more recently synthetic grip gloves have become available. 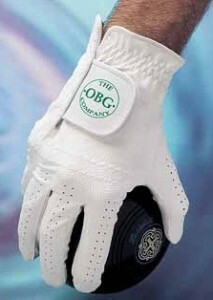 We supply a selection of OBG brand gloves for gents or ladies. Choose from synthetic all weather, or leather with latex palm in sizes small to extra large. If you find yourself using gloves for warmth rather than grip, check out the Mycoal Handwarmer which can be used inside a glove or pocket to keep hands warm for up to 2 hours. Bowl stickers can be used for practical purposes or for fun. They are mainly used to uniquely identify an individual player’s bowls or to display the name of a club or sponsor, but some include comical slogans or initials. Stickers come in a standard size with a disc shape for the bias side, and a ring for the outer side of the bowl, and are sold in sets of 4 (to cover 1 set of bowls). We stock a range of plain stickers in a choice of 12 colours: the most popular colours are red, blue, green, white, orange, gold, silver, pink and yellow. We also have a range of novelty stickers. Stickers can be easily removed by peeling off and replacing. So you can use your comical stickers for a club night and put your serious stickers back on for the league match! Chalk is used to mark bowls which have touched the jack, to show it is still a ‘live’ bowl should it finish its course or is knocked into the end ditch during that end. Since it’s something you’ll need to have on your person as you walk up to the jack it’s useful to have a way of carrying it around which protects the chalk from breakage and the inside of your pocket from chalk dust. 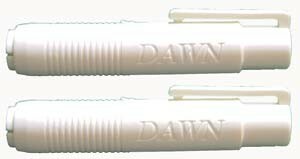 We supply a set of two chalk holders which have a lipstick-like casing and a pocket clip. We also sell chalk spray, which is less messy than chalk sticks and also allows a marking to be applied without touching the bowl if required. The spray is water based so it wipes or washes off just as easily as ordinary chalk. It is available in two colours – white for dark bowls and lilac for light coloured bowls. A good bowls towel should be considered essential basic kit to keep bowls clean and dry during play. We sell towels in a variety of materials. 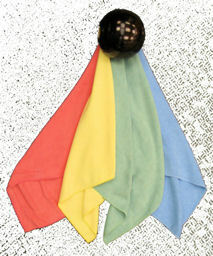 Simple polycotton duster-type cloths are inexpensive and are adequate for wiping off chalk marks and absorbing water. Microfibre cloths, such as the Emsmorn ‘Wet & Dry’ towel, offer additional absorbency for dirt, dust and moisture, helping to keep the bowl surface extra clean and enhance grip. Synthetic chamois leather cloths, such as the Taylor Chamois or Henselite Deluxe Chamois, are designed especially to aid grip. Perhaps our favourite all round towel is the ComfitPro Bowls Dri which can be used in play or for polishing. Used by the England Bowls Team, this is a specially developed synthetic cloth which gets your bowls dry fast and gives your bowl a perfect grip. Between play you’ll need a polishing cloth for polishing off wax, cream or other treatments. We supply general purpose inexpensive duster type cloths such as the Comfit Fit Pro Polishing Duster and Henselite Polishing Cloth, and more specialist polishing cloths such as the Henselite Bowls Polishing Sleeve. For thorough cleaning of bowls between games or seasons, we stock Drakes Pride Bowl Sheen, designed to remove dirt, grip wax and chalk spray. Scorecards are used for keeping the score during a game, usually marked out for a 21 end game, for home and away teams. 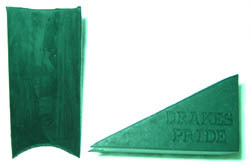 We sell Drakes Pride scorecards in packs of 100. Since scorecards are made from paper they need to be protected from the elements so a scorecard holder is a useful accessory. We stock two scorecard holders by Henselite- a plastic holder which includes a handy pencil and a leather wallet-style holder – both designed to fit easily into a pocket. Although lawn bowls is a genteel sport ideal for all ages, it’s still the case that bowls are heavy objects and that the game can involve a fair amount of bending and lifting. A variety of aids are available to help, allowing you to put more energy into the actual play. We stock a bowl and jack lifter which allows a single bowl and jack to be scooped up at ground level and carried without bending down. We also supply a metal bowling arm which allows a bowl to be gripped and released from a standing position, if bending is difficult. 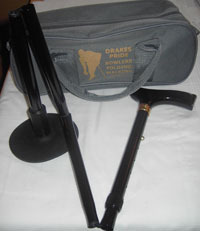 For those requiring a walking stick, we supply either a folding/adjustable walking stick or a rubber green protector to fit onto the end of an existing walking stick. At Bowls World we understand that customers may not themselves be players and may be looking for gifts for friends and relatives who are. While any of our accessories could make a great gift, we supply a variety of items and accessory sets with the thoughtful gift in mind. Some of our gifts are practical – like the Henselite Gift Set containing bowls towel, tube of polish, can of spray chalk and a score card holder, or the Henselite Polishing Kit containing a tube of Grippo, a polishing sleeve and a polishing cloth. These kits also make great starter sets for someone new to bowls. Other items just add a touch of luxury while still being highly useful, such as the white leather Drakes Pride Leather Accessories Pouch, designed to hang off a belt and hold a measure and spray chalk. If you want something more light-hearted, allowing the wearer to display their passion for bowls, you can choose from a range of key fobs, lapel badges, tie pins, fridge magnets and coasters. And for the bowls enthusiast who already ‘has it all’? Our Gift Vouchers make the perfect gift, ranging from £5 to £100 in value.